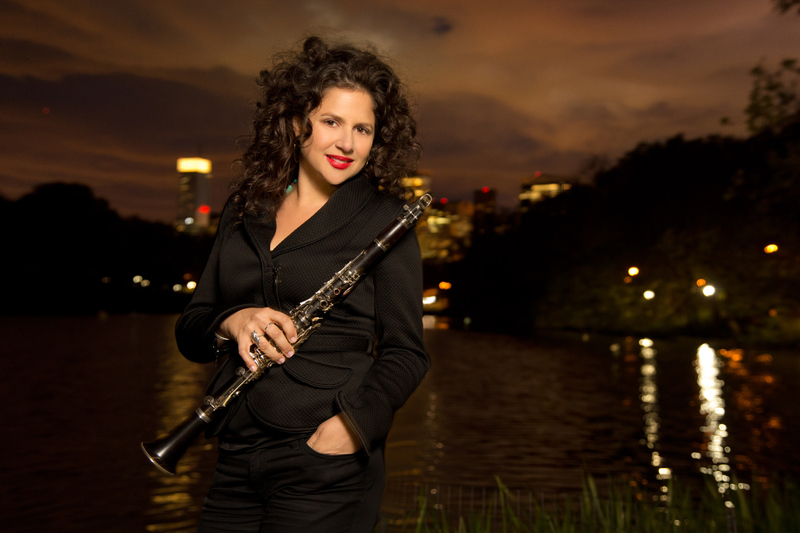 Clarinetist-saxophonist Anat Cohen has won hearts and minds the world over with her expressive virtuosity and delightful stage presence. 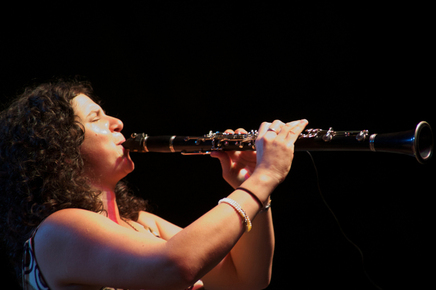 Reviewing Anat’s 2008 headlining set with her quartet at the North See Jazz Festival, DownBeat said: “Cohen not only proved to be a woodwind revelation of dark tones and delicious lyricism, but also a dynamic bandleader who danced and shouted out encouragement to her group – whooping it up when pianist Jason Lindner followed her clarinet trills on a Latin-flavored number. 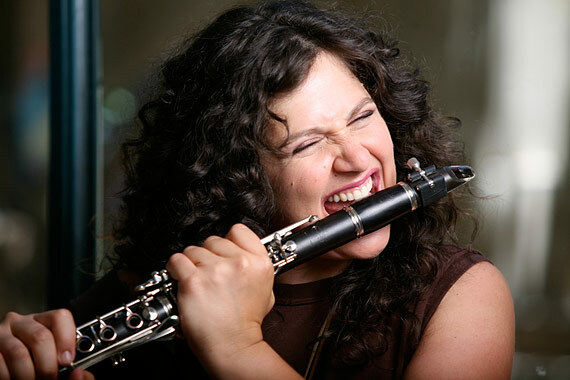 With her dark, curly, shoulder-length hair swaying to the beat as she danced, she was a picture of joy.” Anat has been voted Clarinetist of the Year six years in a row by the Jazz Journalists Association, as well as 2012’s Multi-Reeds Player of the Year. 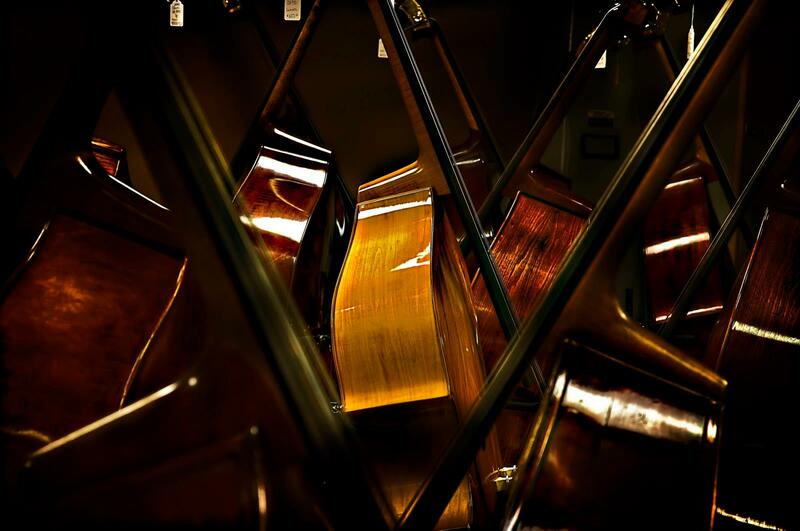 That’s not to mention her topping of critics and readers polls in DownBeat magazine several years running. 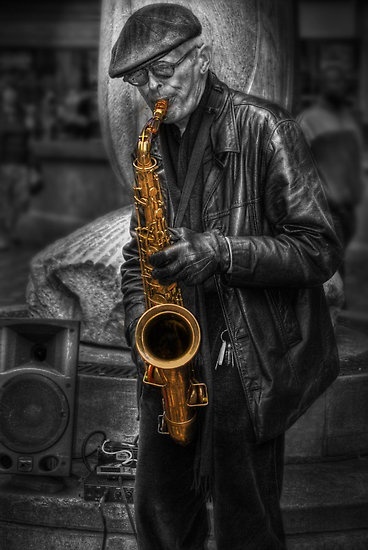 Anat has toured the world with her quartet, headlining at the Newport, Umbria, SF Jazz and North Sea jazz festivals as well as at such hallowed clubs as New York’s Village Vanguard. In September 2012, Anzic Records releases her sixth album as a bandleader, Claroscuro.The album ranges from buoyant dances to darkly lyrical ballads, drawing inspiration from New Orleans and New York, Africa and Brazil. In its ebullient, irresistible variety, Claroscuro encapsulates the description Jazz Police offered of Anat in full flight: “She becomes a singer, a poet, a mad scientist, laughing – musically – with the delight of reaching that new place, that new feeling, with each chorus.” Claroscuro takes its title from the Spanish word describing the play of light and shade (chiaroscuro in Italian).